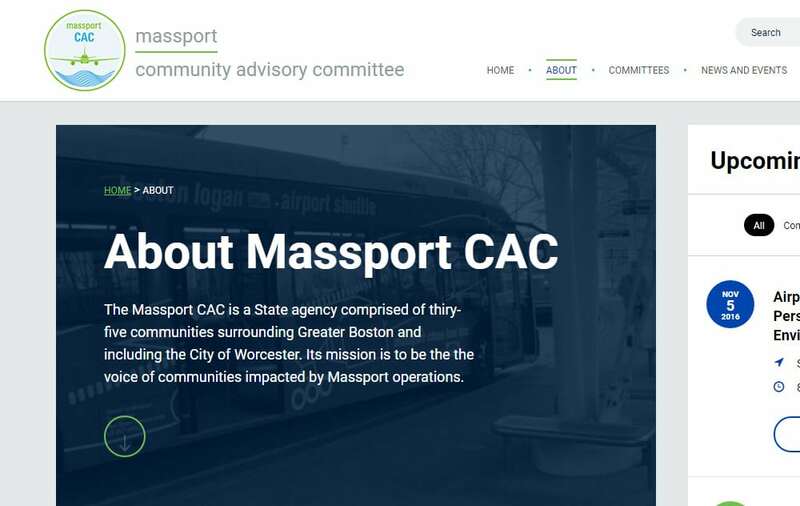 The Massport CAC (Community Advisory Committee) is a State agency comprised of thirty-five communities surrounding Greater Boston and including the City of Worcester. Its mission is to be the voice of communities impacted by Massport operations. After a careful and proper discovery and web strategy phase together with the Massport CAC, we were able to structure a website road map plan. 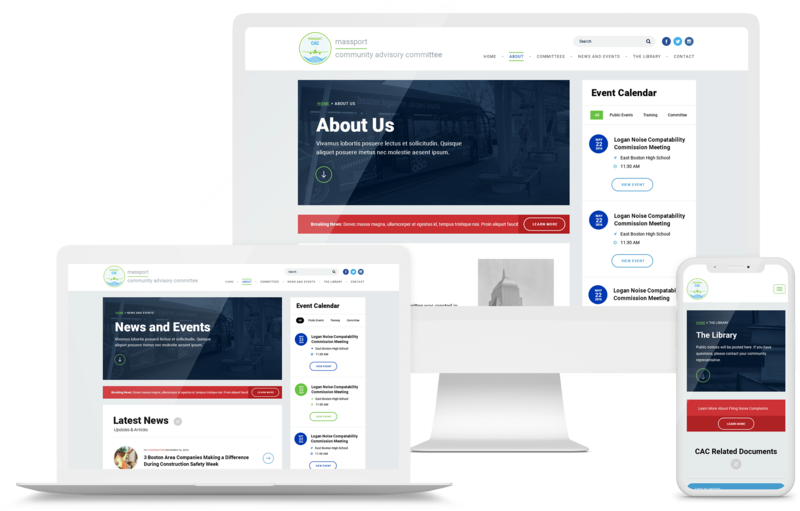 This set the stage for a user-friendly interface, engagement with key audience types, and a sharp, clean website interface that communicates events, news, public meetings, training and important related public documents via an online library. 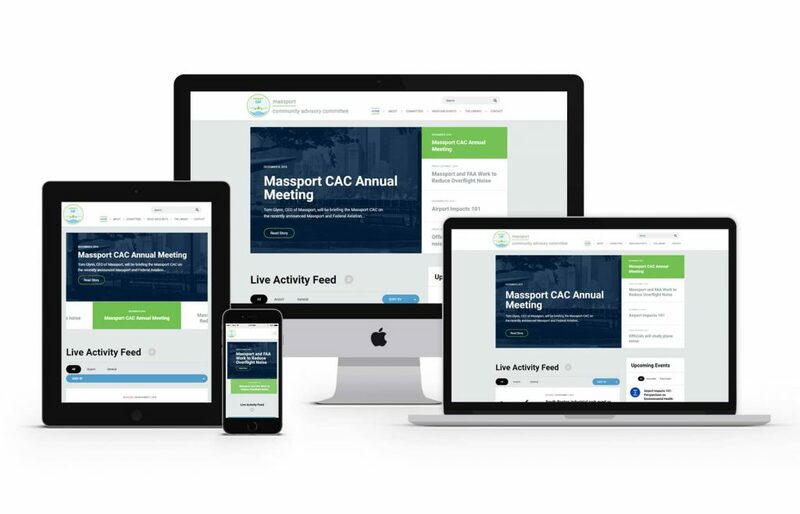 In addition, the new Massport CAC website is fully mobile and tablet friendly with the Bootstrap framework for a very tight multi-device user-experience as well leveraging an admin-friendly content management system.